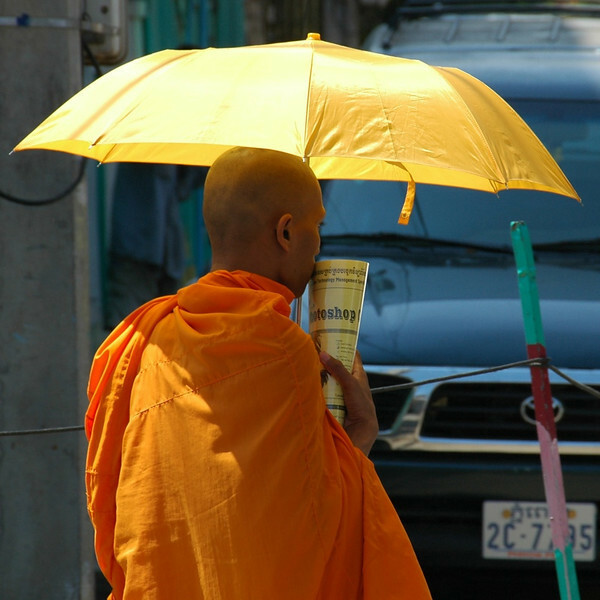 We think of Buddhist monks as being of another world with their saffron robes and receiving their food as alms, but throughout Laos and Cambodia we witnessed monks trying to educate themselves in languages and technology. Not every monk stays a monk for a lifetime, so its also essential that they prepare for the possibility of leaving the temple. Read more about Phnom Penh, Cambodia.